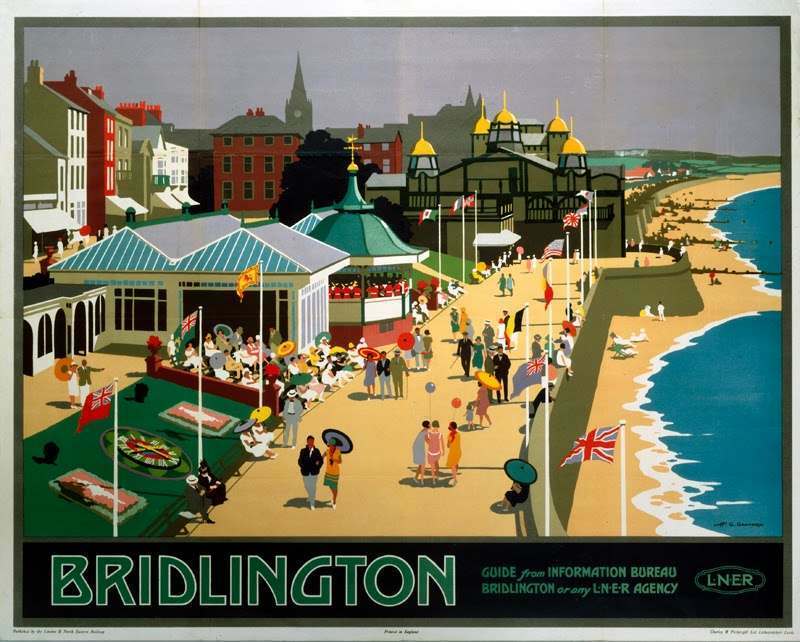 The LNER seaside posters are examples of some of the most beautiful British graphic artwork produced in the 1930s. 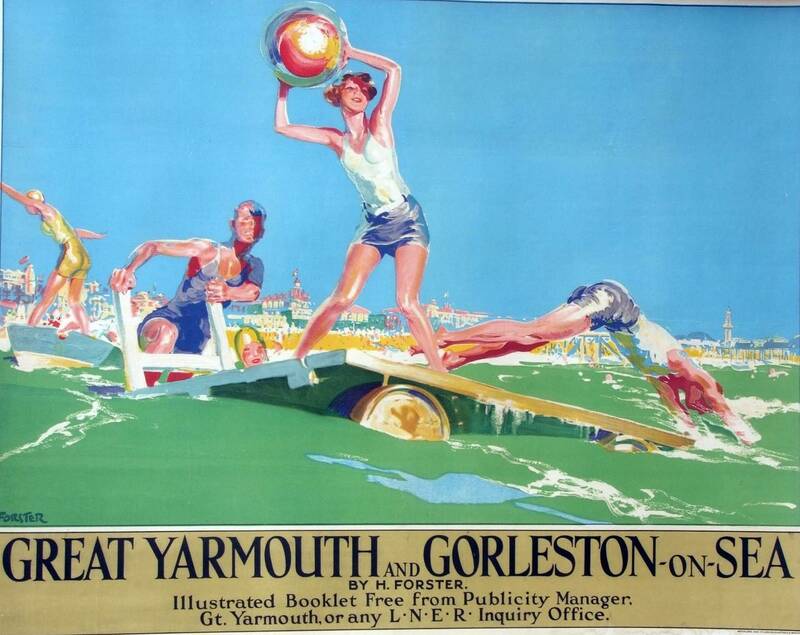 The London and North Eastern Railway (LNER) was the second largest of the four railway companies created by the Railways Act 1921 in Britain. 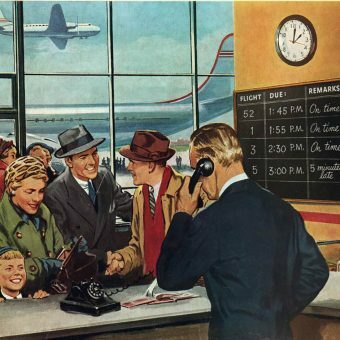 It continued as a company until nationalisation on 1 January 1948. 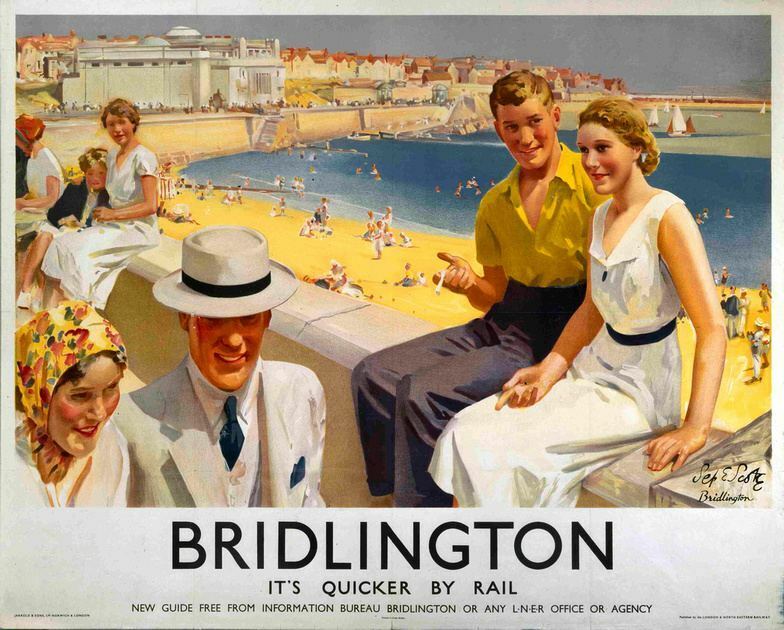 Although the London and North Eastern Railway (LNER) carried more than a third of Britain’s coal in the years before WW2 and over two thirds of its income came from freight, the main image the company liked to present, albeit slightly unrealistic, was one of sunshine, romance, fast trains and sophistication. 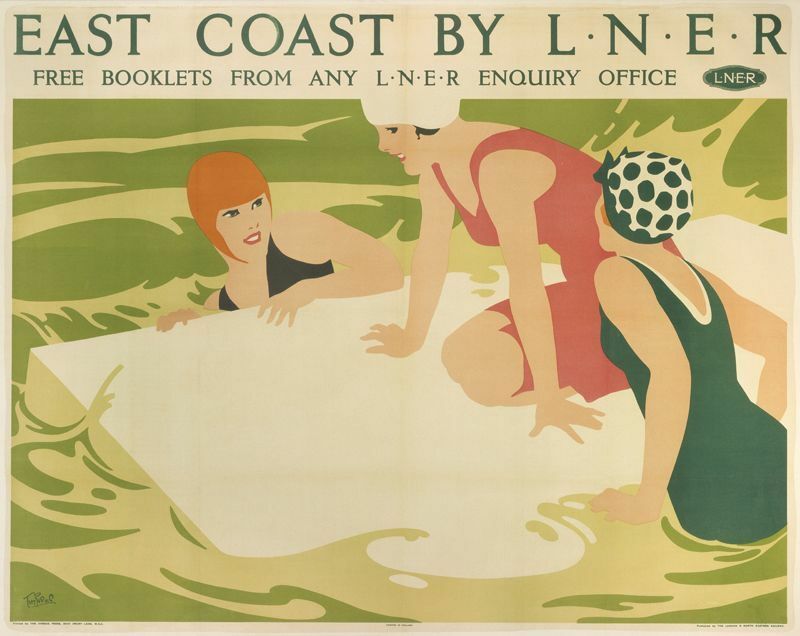 Influenced by the London Underground posters LNER commissioned the top graphic designers and artists to promote its services and encourage the public to visit the holiday destinations of the east coast in the summer. 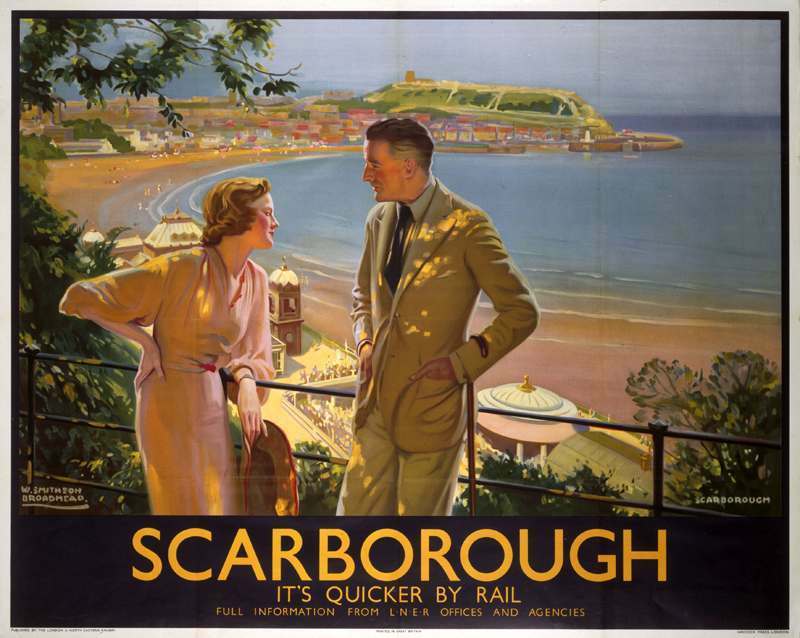 LNER poster to promote train services to Scarborough, North Yorkshire. 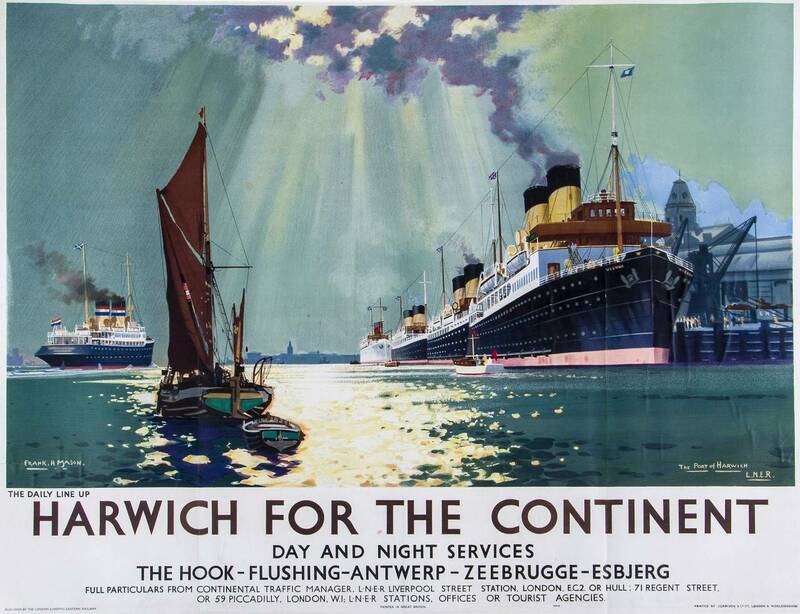 Artwork by W. Smithson Broadhead (1888-1951), a painter of portraits and horses who, in addition to LNER, also designed joint posters for all four railway companies. 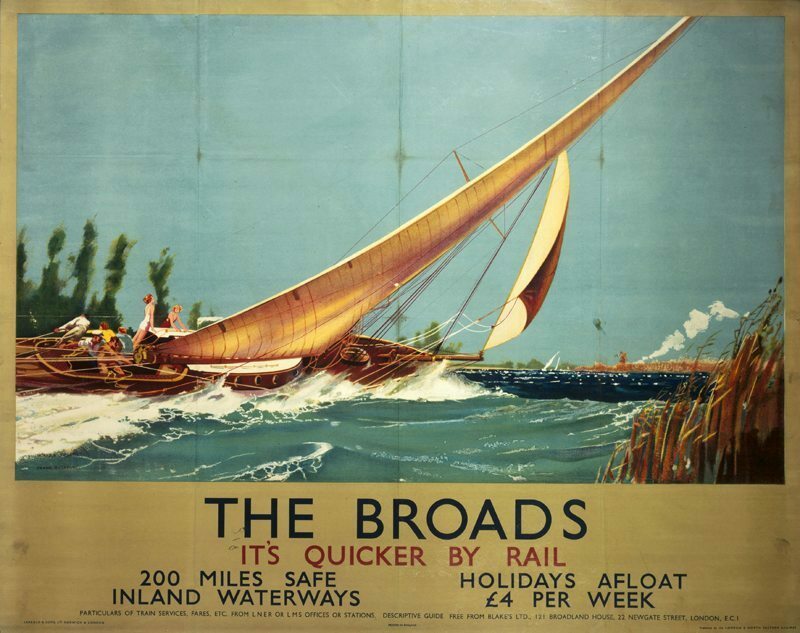 The Broads – LNER poster by Frank Henry Mason (1876-1965). 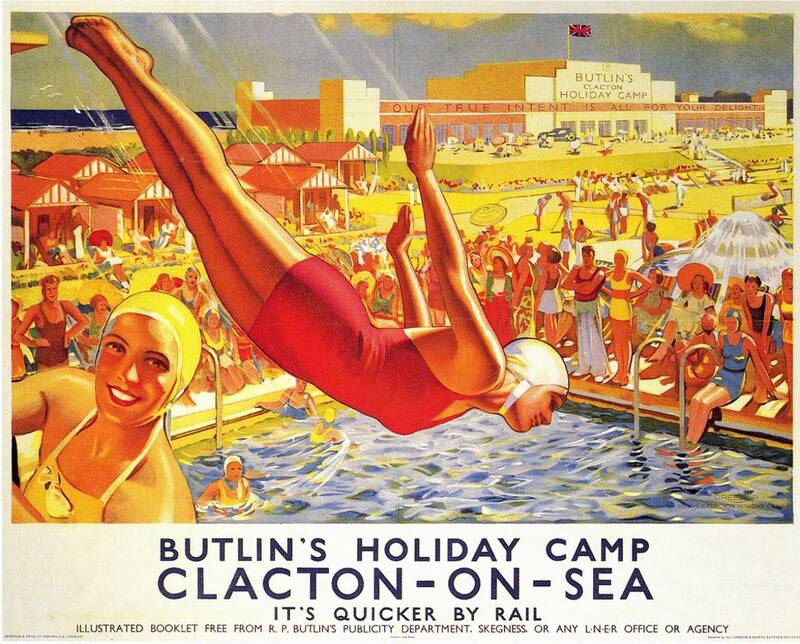 Clacton-on-sea Butlin’s poster produced by LNER, designed by Joseph Greenup in 1938. 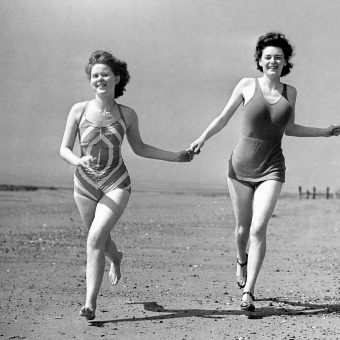 The year the Clacton Butlin’s opened. 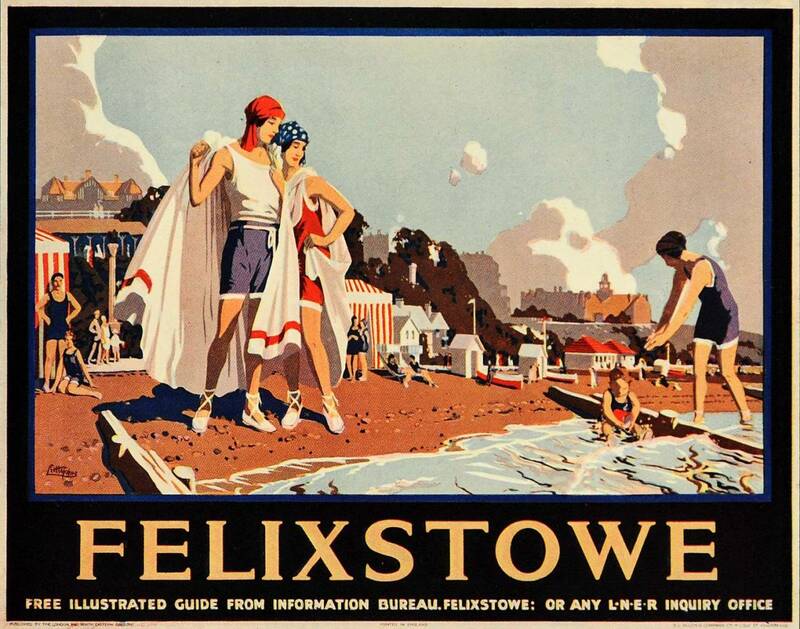 Felixstowe LNER poster by j. Littlejohns in 1933. 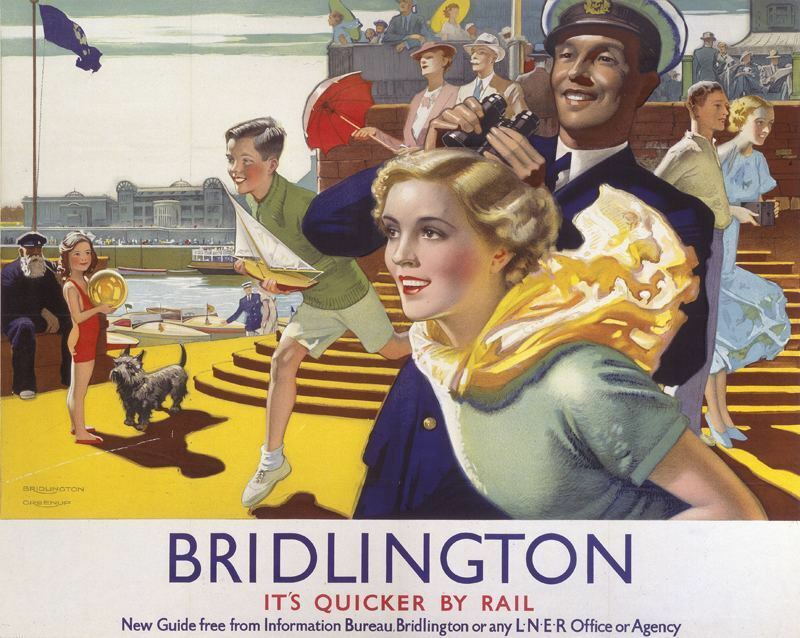 Bridlington LNER poster by Septimus Edwin Scott. 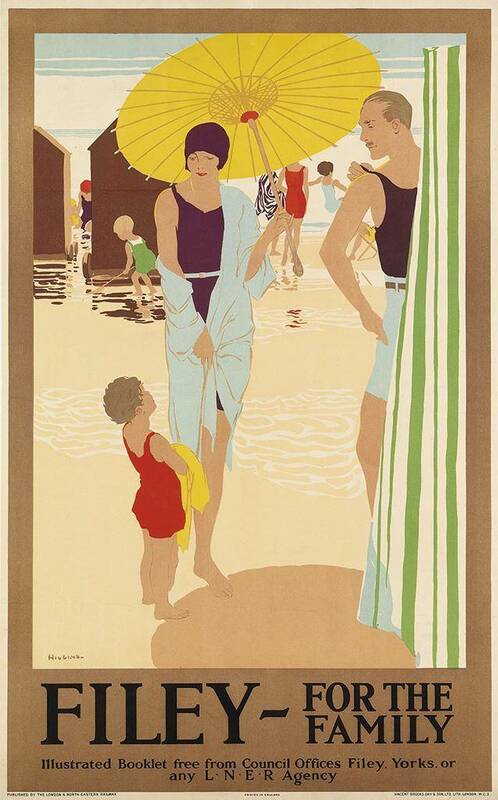 Filey for the Family LNER poster from 1925 and designed by Reginald Edward Higgins. 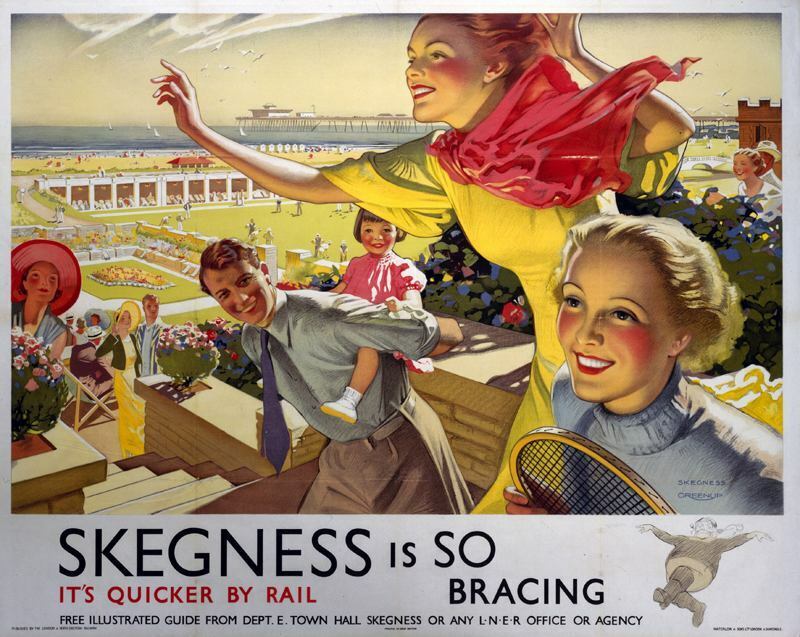 Poster produced for London & North Eastern Railway to promote rail travel to the East Coast of England. 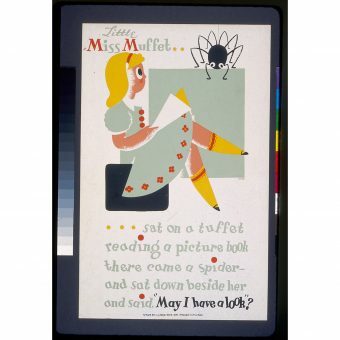 Artwork by Tom Purvis (1888-1957), who rallied for the professionalisation of commercial art. In 1930 he was one of the group of artists who founded the Society of Industrial Artists, which campaigned for improved standards of training for commercial artists in order to broaden their scope of employment. He became one of the first Royal Designers for Industry in 1936. 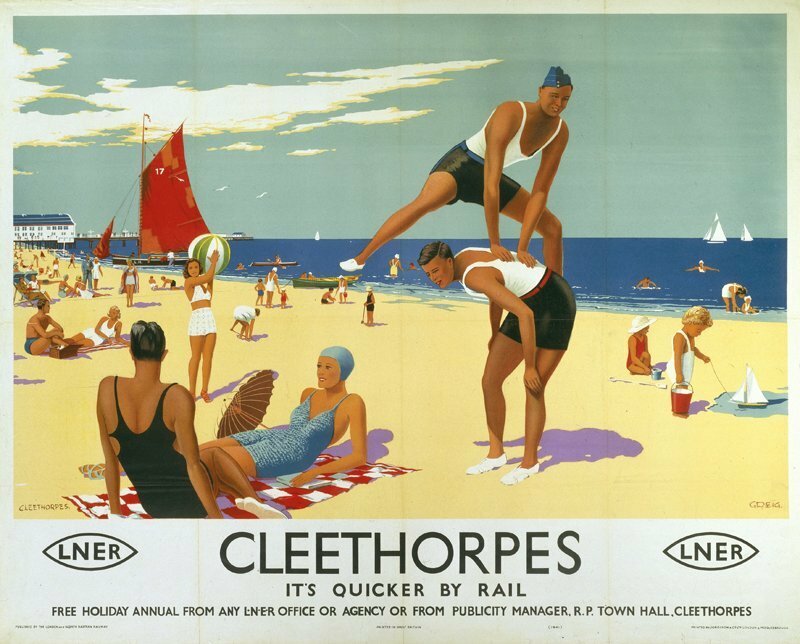 North Eastern Railway (LNER) to promote rail travel to Cleethorpes, North East Lincolnshire. 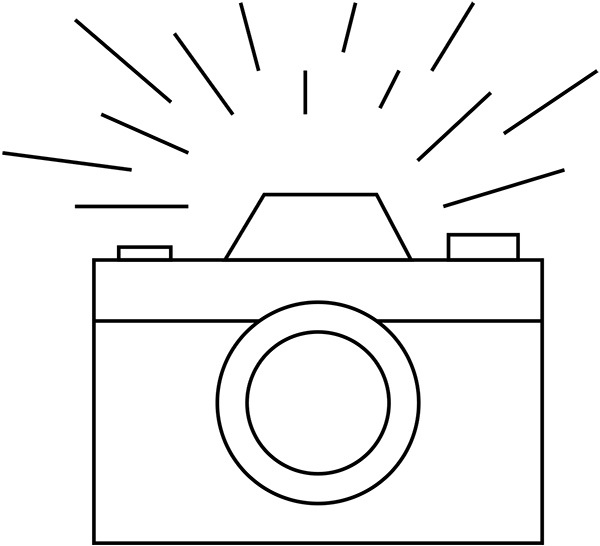 Artwork by Greig. 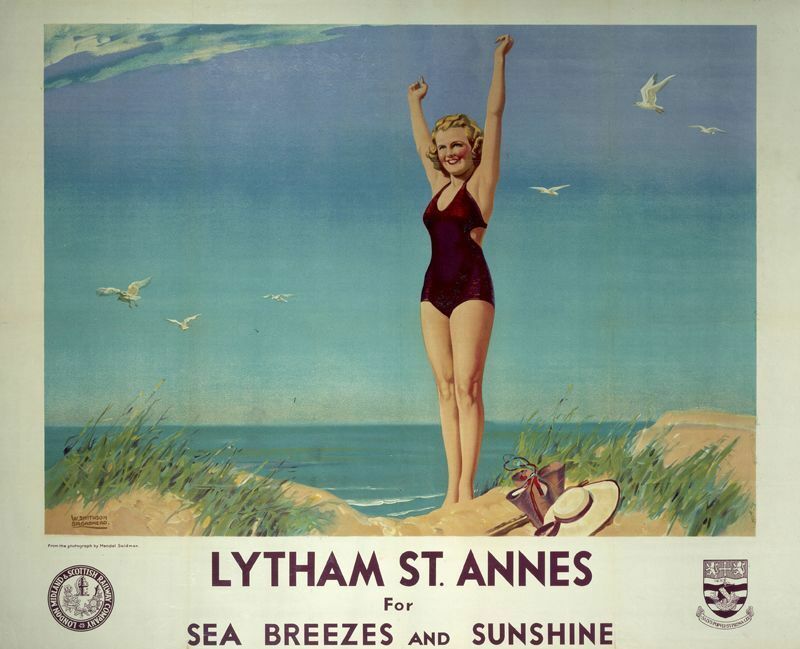 Lytham St. Annes Broadhead, W. Smithson for the LMS railway and heavily influenced by the LNER posters. 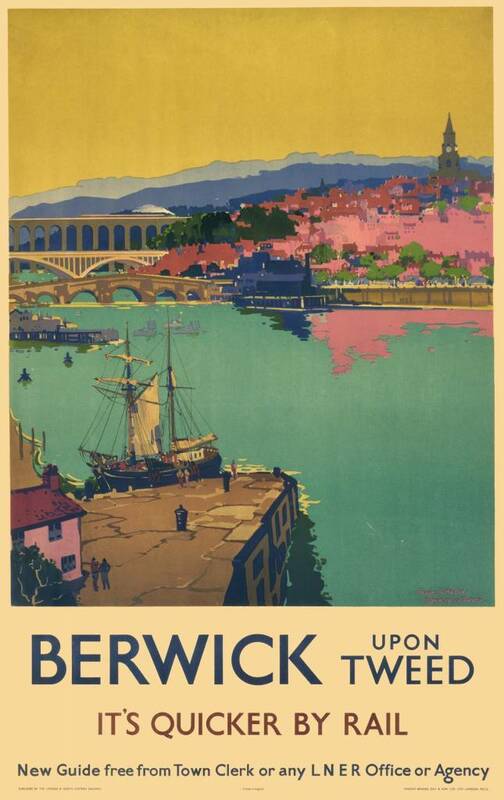 LNER poster promoting rail travel to Berwick upon Tweed, Northumberland. Artwork by Frank H Mason.